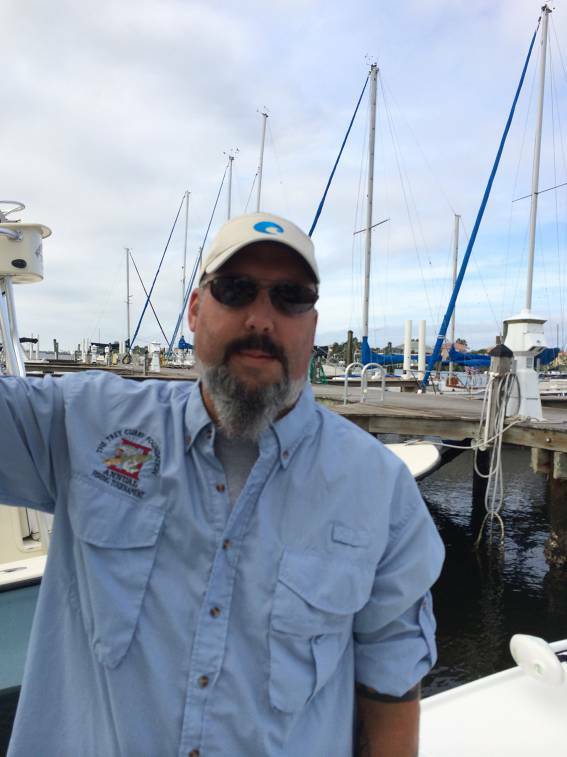 Kevin is a seventh generation Florida native who has spent his entire life around boats and fishing the gulf coast. With 25 years of professional experience in the marine industry he is the perfect choice when it comes to finding your next boat or selling your current boat. Kevin started his career selling boat parts, accessories, and fishing tackle. From there he moved into the service side of the industry and spent several years as a marine technician becoming certified by several engine manufactures. After finishing his degree from the University of South Florida in Environmental Science and two years in the environmental consulting field he came back to his roots in the marine industry. He continued to oversee factory certified repair facilities, train technicians, and sell new boats. Currently Kevin runs a large full-service marina offering not only wet slips and dry storage but a state of the art repair center, performing factory trained service for five different engine lines. One of the keys to being happy with a boat purchase is buying the right boat. With so many types and sizes of boats available to a purchaser, choosing the right kind is the biggest factor in owning a boat that will best suite the way you intend to use it. By helping a client choose the right boat for their needs, and budget, it will help ensure a great experience. This is where all of Kevin’s knowledge will make the difference. From the smallest technical poling skiff to the biggest cruiser, he will find you the boat that is right for you. This experience will also help in selling your listing. Kevin has a database of customers looking for particular boats allowing him to match your boat with a buyer as quickly as possible. Kevin has chosen the marine industry as his lifelong career so whether you are buying your next boat or selling your current one he will do everything he can to make sure your experience is a great one. By pairing up with a great brokerage like United who has a huge nationwide presence and a vast marketing network together they can get your boat sold or put you into your next one. Boating is supposed to be fun, and that should not be limited to being on the boat. Let Kevin and United make the buying and selling process enjoyable as well.